This page is dedicated to show you the "outside of the office" side of Drs Boxx, Blaney, Lachine & Wendell and staff; events and milestones in our office, our community and our profession. We will update this page as the year progresses. 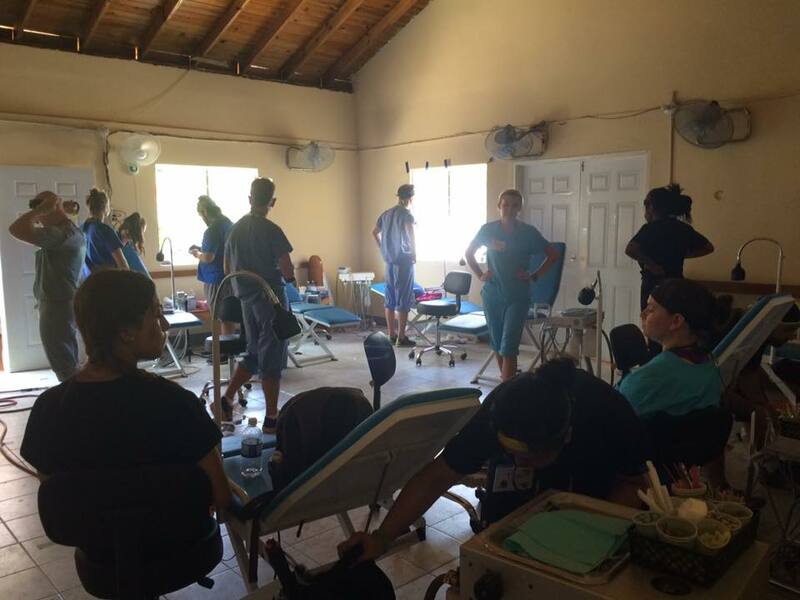 This year Dr Lachine and assistant Tracey Brewer led a group of 22 dental students from The Medical University of South Carolina and Western University of Health Sciences to Hopewell Jamaica, to once again serve at the Helping Hands Dental Clinic. The trip took place from May 27-June 3. 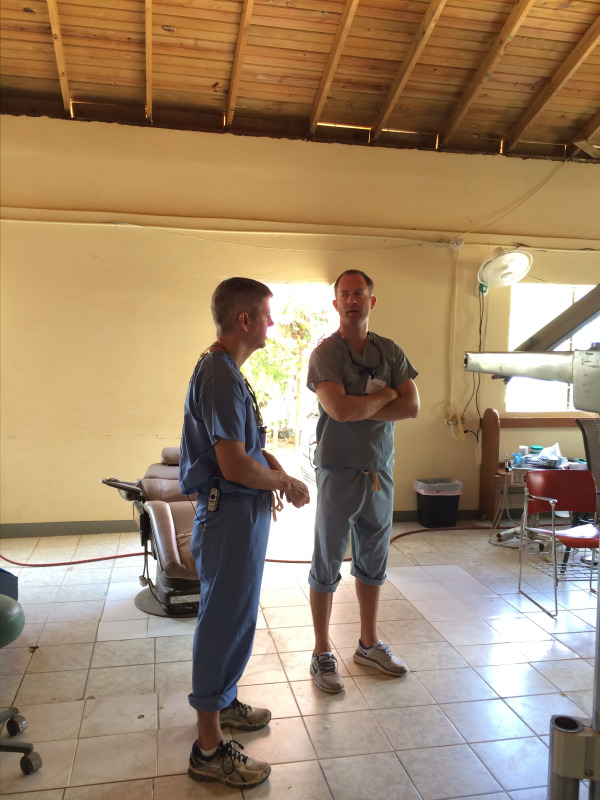 This year we were also joined by two dentists from California, and an Oral Surgeon and his staff from Iowa. As always, we had a wonderful week serving, treating over 400 patients and getting the pleasure of interacting with dozens of school children, as the school next to the clinic was still in session. 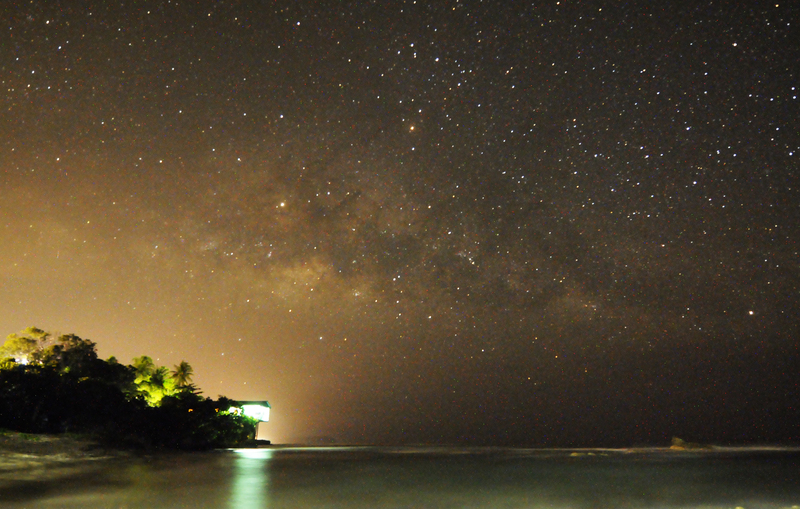 With ideal weather, we also had the pleasure of enjoying some of Jamaicas tremendous beauty, while not in the clinic. As of this posting, we are making plans for our return trip in 2018. 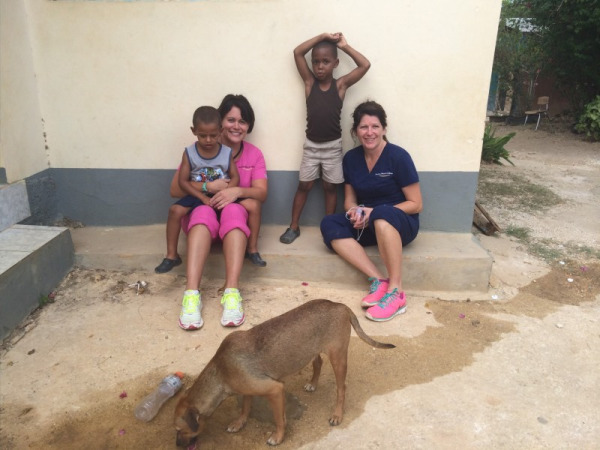 Tracy and Dr. Lachine spending time with the local kids before opening the clinic in Hopewell. "The Jumping Picture" has become our newest tradition to celebrate the end of a great week of serving. 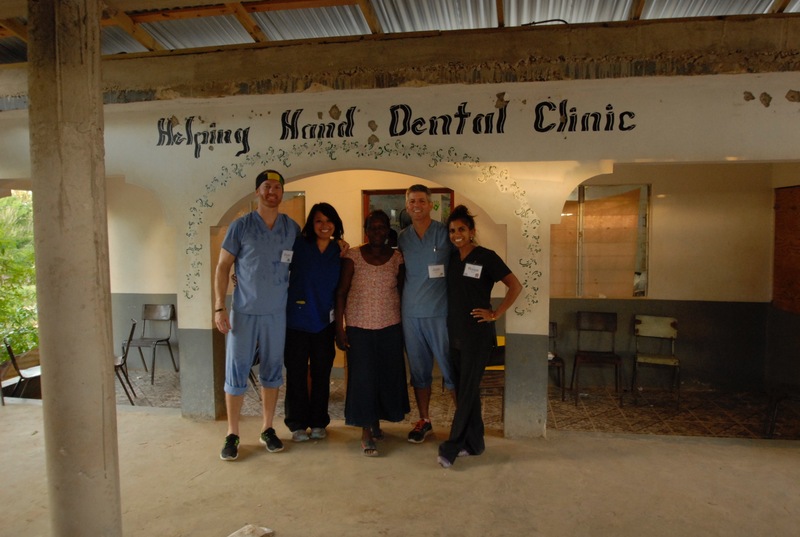 In August of 2016, doctors and staff along with their children, and dental colleagues from Virginia Beach returned to Hopwell, Jamaica to again volunteer with the Christian Dental Society mission at the Helping Hands Dental Clinic. 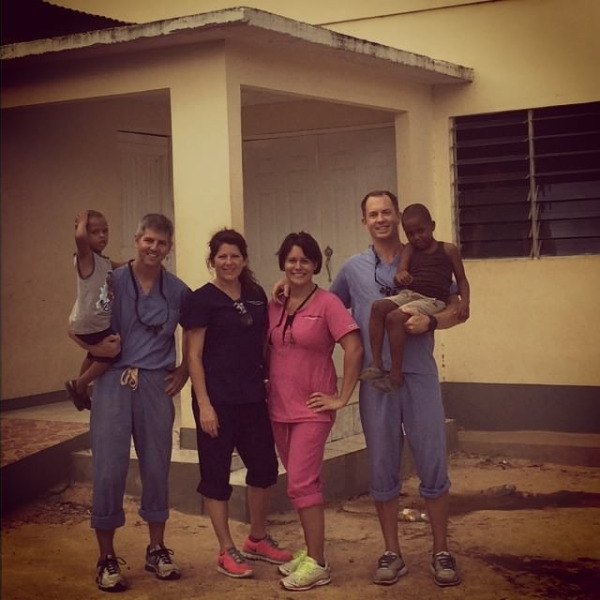 Those on the mission included Dr Bryan Wendell, Dr Lachine and his son Connor, hygienist Cindy Lanier, hygienist Jeanna Nasser, assistant Tracey Brewer and her two daughters Rachael and Allison. 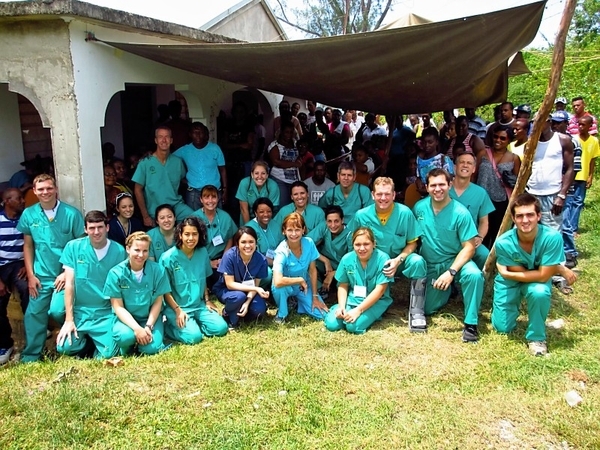 The 2016 group was also comprised of students from Baylor University School of Dentistry in Texas, and students from the Medical University of South Carolina in Charleston. 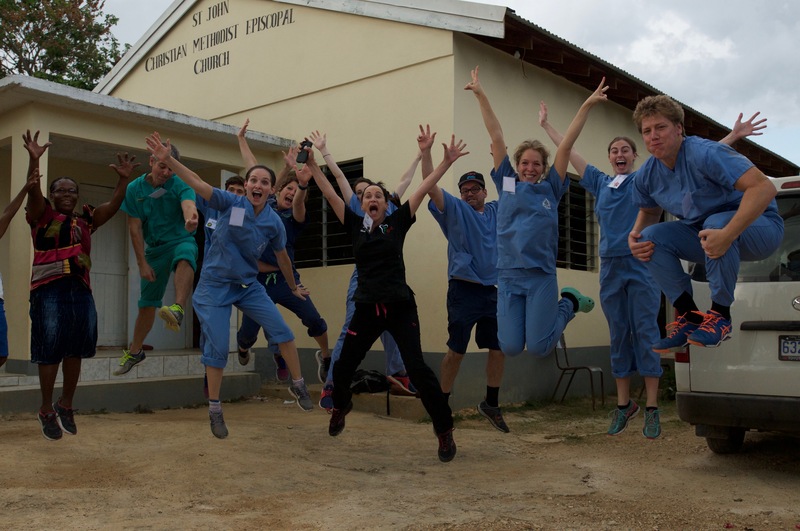 In our most successful trip to date, the team worked for four days and treated over 740 patients. 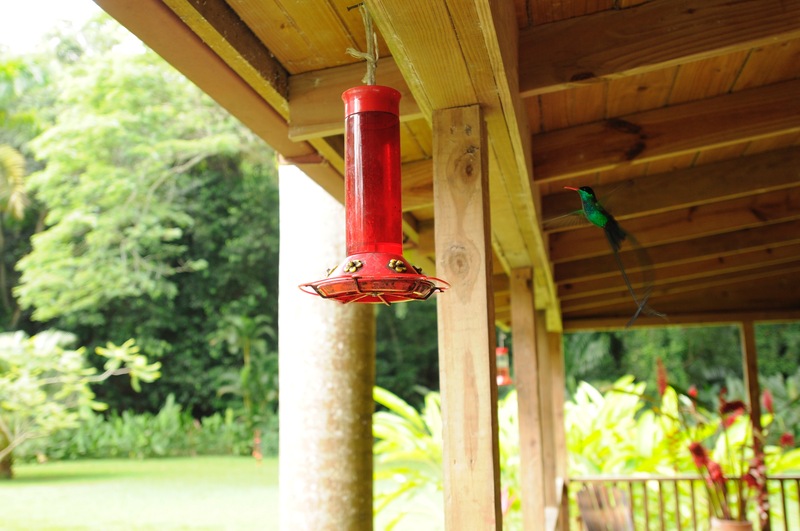 Below are a few of the images taken to document the week. We would like to thank everyone that supported us in this mission, financially, prayerfully, and with their kind words of encouragement. 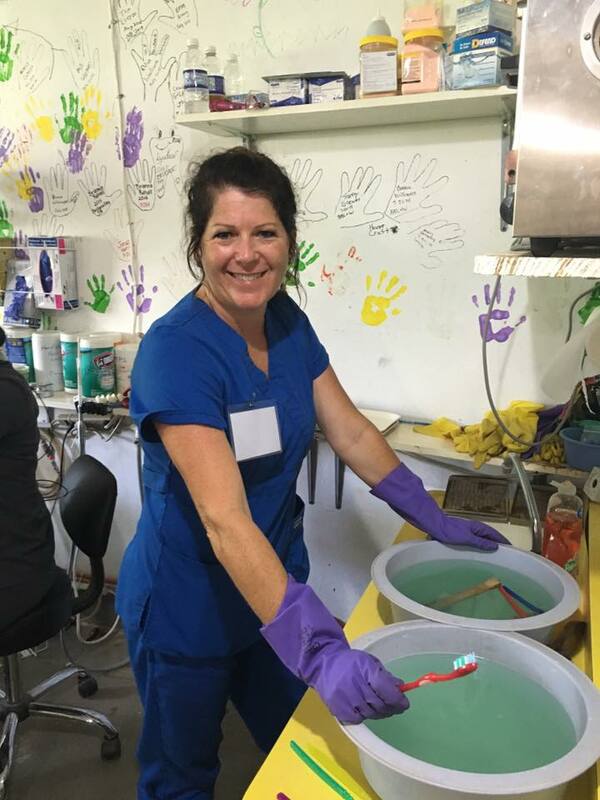 In August, Dr. Lachine, Dr. Wendell, hygienist Cindi Lanier and assistant Tracey Brewer (pictured below) spent a week serving in the Parish of St. Elizabeth, Jamaica Helping Hands Dental Clinic. The team of four dentists, support staff and 25 (third and forth-year) dental students from Howard University School of Dentistry served the week of August 1-8. 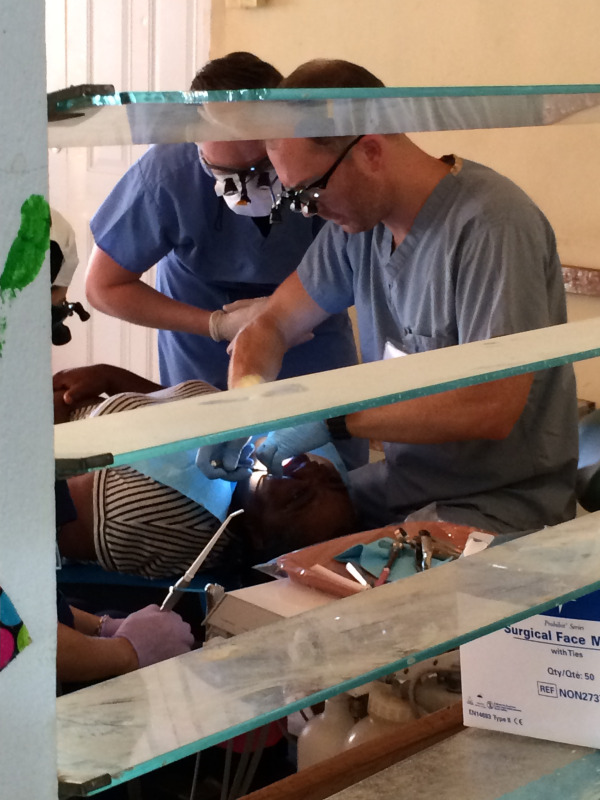 In that time the team treated over 600 patients as they performed cleanings, fillings and extractions. The team also distributed dental supplies and medicine to patients. 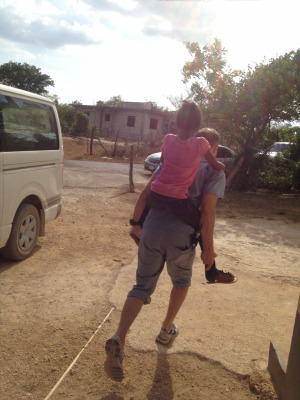 As the last team to staff the clinic at Hopewell, Jamaica for the year, we were inundated with patients. 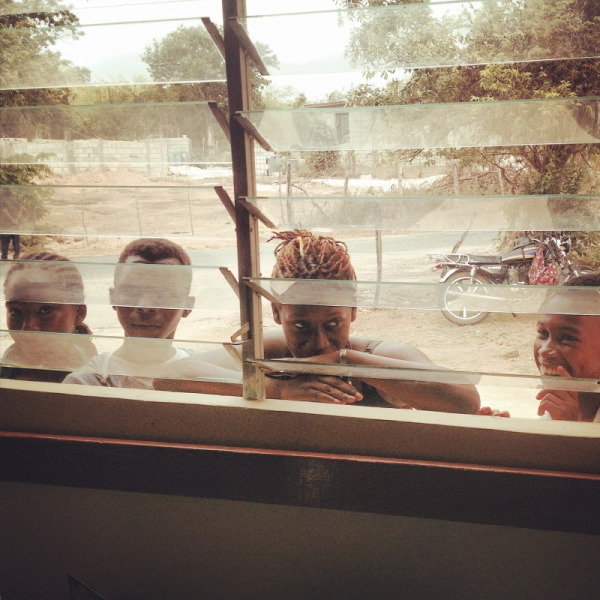 In years past, we would average between 95 and 120 patients per day. This year we were treating between 150-170 per day. For many people in the area, the clinic is their only access to dental care and is only open when volunteer teams are in the country to staff it. (l-r) Assistant-Tracey Brewer, Dr Bryan Wendell, Hygienist- Cindi Lanier, Dr Amy Baluyut, Pastor Gloria Rowe, Dr Josh Lachine and Hygienist-Lindsey O'Brien outside of the clinic at the close of the clinic week. 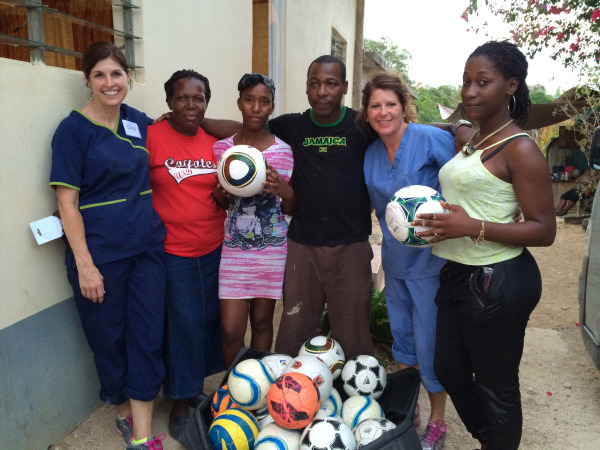 Drs Lachine and Wendell take a break at the end of the day, while Cindi and Tracey distribute soccer balls that were donated for local school children. 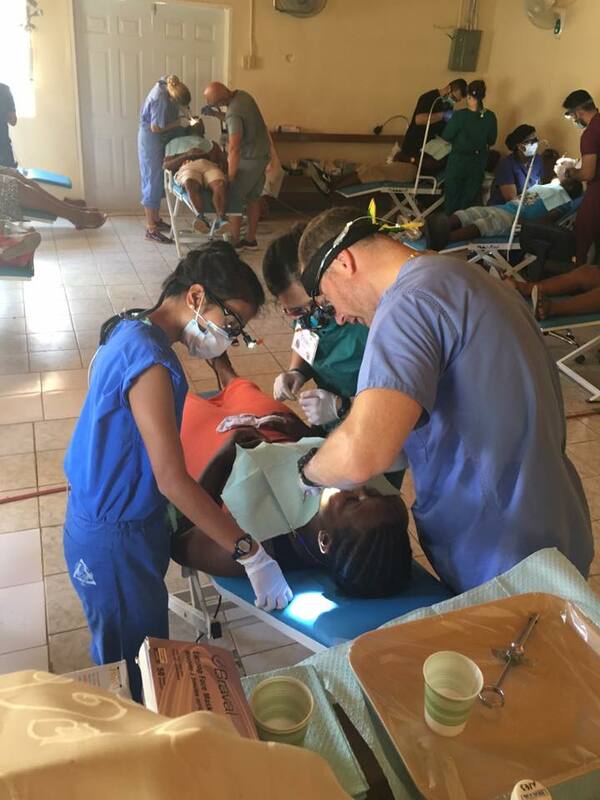 Cindi busy at work in the main clinic and Dr Wendell helping a third year dental student with a difficult extraction in the sanctuary of the church which had been converted into treatment space for the team. In June 2015 we participated in the American Cancer Society’s Relay for Life. We raised $1942.00 in donations through raffles, gift card sales, bake goods/food sales and donations. We would like to thank those who generously gave to help us in our event. 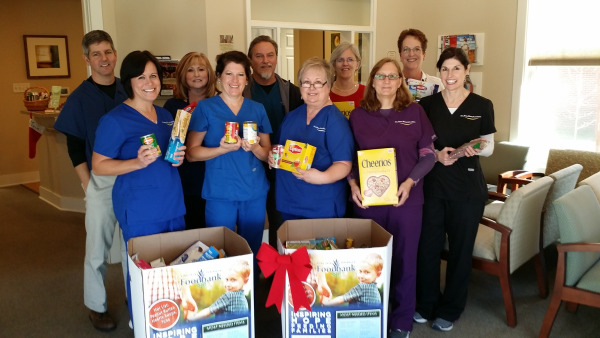 In December 2014 with the help of all our giving patients, we collected and donated over $100 and 376 lbs. of food for the VA Peninsula Food Bank. A heart felt THANK YOU to you all that helped in the collection. Our goal for 2015 is 500 lbs. Help us make it! 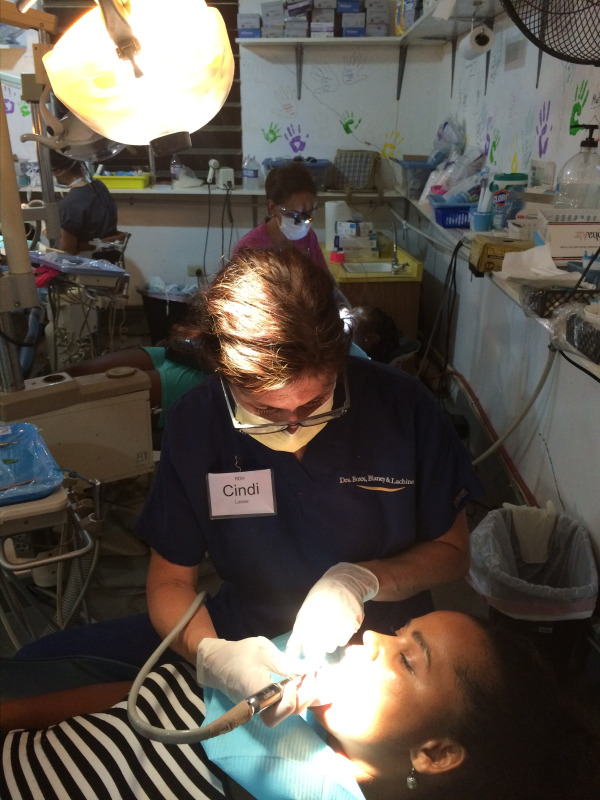 In July, Dr. Lachine, Dr. Wendell and assistants Tracey Brewer and Carrie Williams (pictured below) spent a week serving in the Parish of St. Elizabeth, Jamaica Helping Hands Dental Clinic. The team of five dentists, support staff and 25 (second, third and forth-year) dental students from VCU/MCV Dental School, The Medical University of South Carolina, Howard University and The University of British Columbia in Canada, served the week of July 12-July 19th. 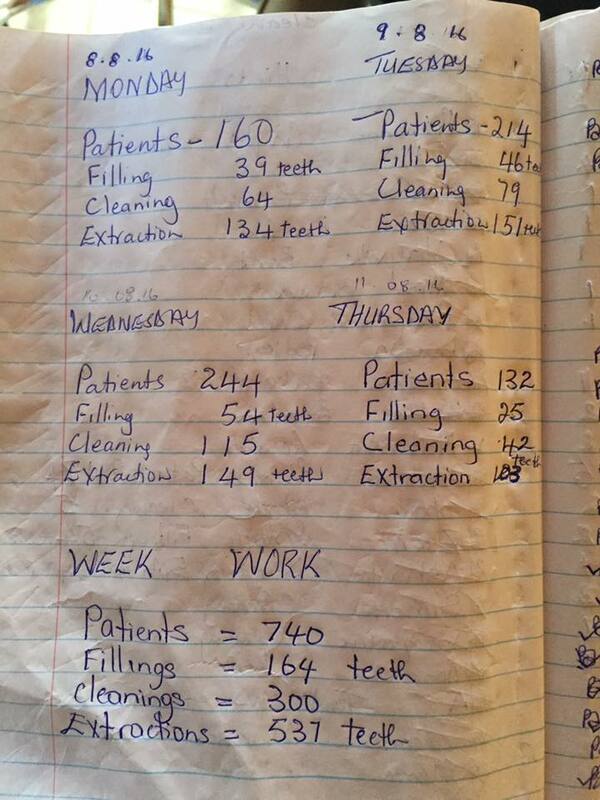 In that time the team saw over 400 patients as they preformed cleanings, fillings and extractions. The team also distributed dental supplies and medicine to patients. 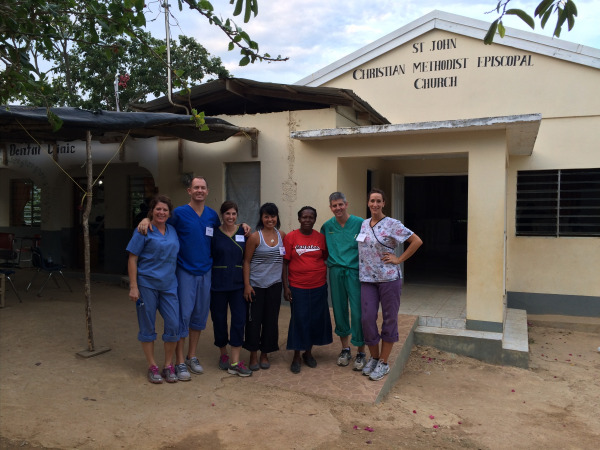 The clinic is staffed entirely by volunteers and is only open the 4-5 weeks a year that teams are in the country. 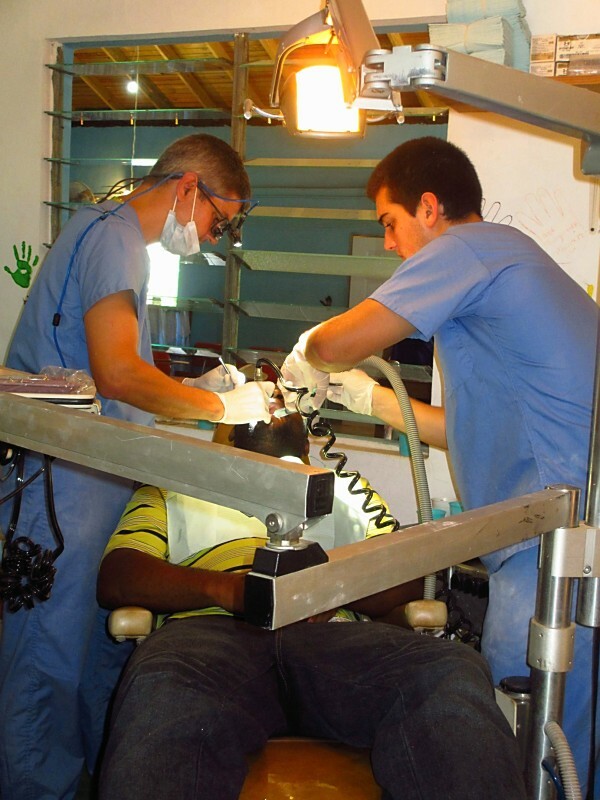 For many people in the area, the clinic is their only access to dental care. 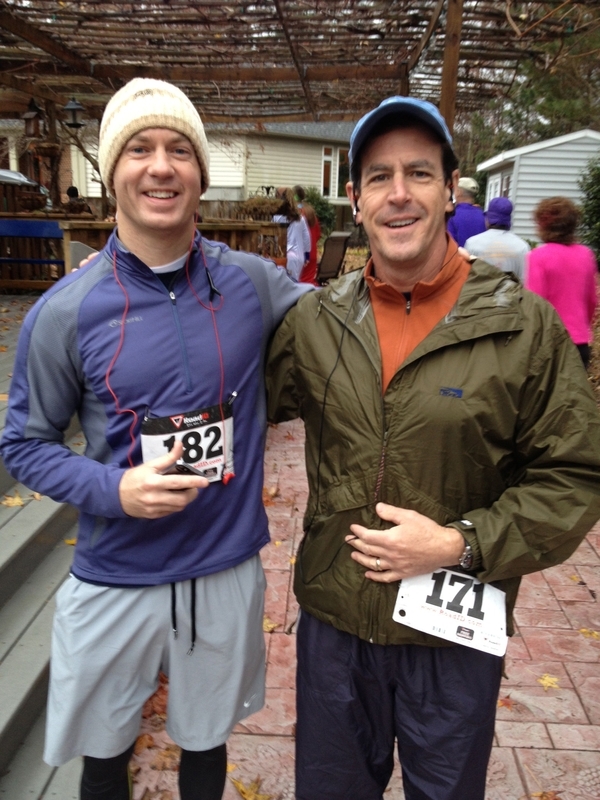 In December, the Office sponsored, and Drs Wendell and Blaney ran in the St. Kateri Run for the Son 5k to benefit relief work in Haiti. Way to go guys! 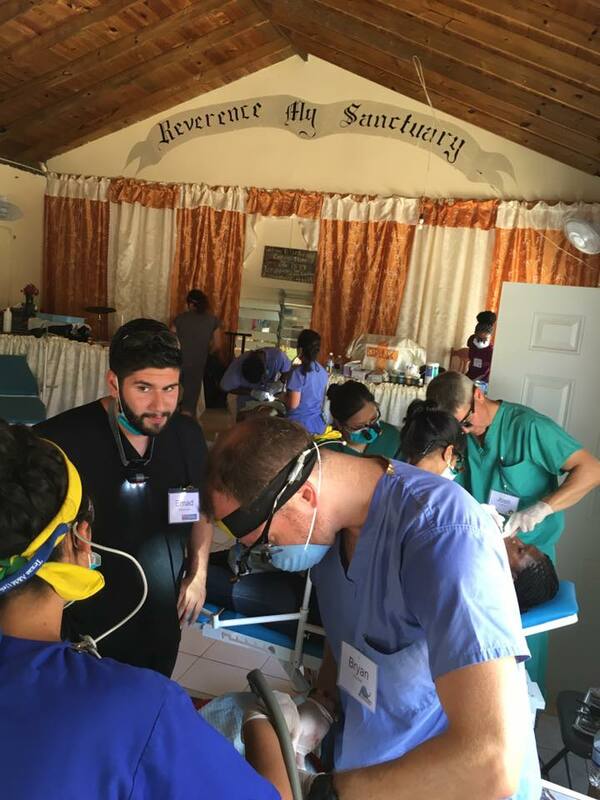 In July, Dr. Lachine and his son Connor, a freshman at Hampden-Sydney College spent a week serving in a remote dental clinic in the Parish of St. Elizabeth, Jamaica. 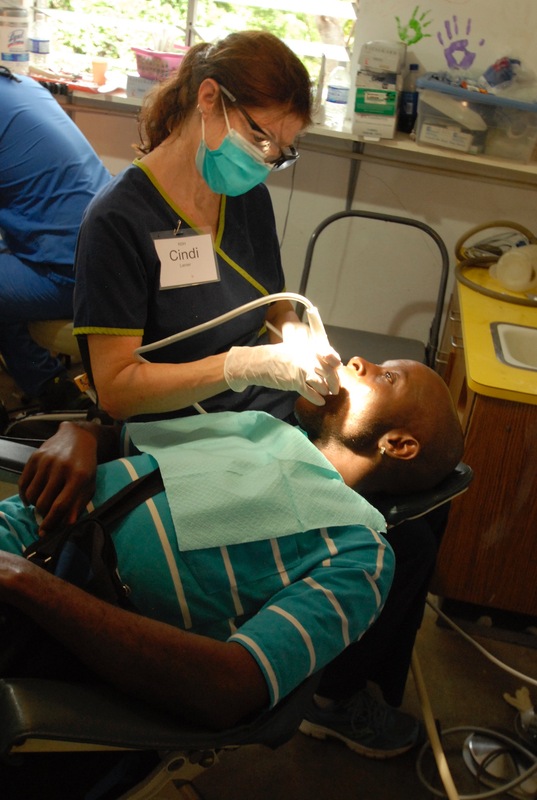 The team of five dentists, 20 (second, third and forth-year) dental students from VCU/MCV Dental School and Medical University of South Carolina and five support staff treated over 450 patients, placed over 100 fillings and extracted more than 500 teeth. 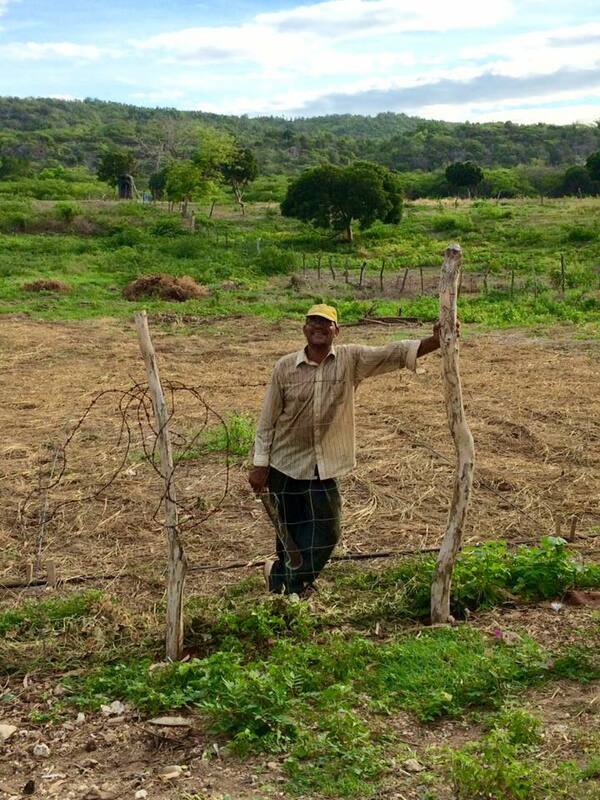 each day, had to walk miles (and some, several hours) to get to the clinic. One of our last images and most memorable image of the week, spotted as our bus headed back over the mountains to the airport. 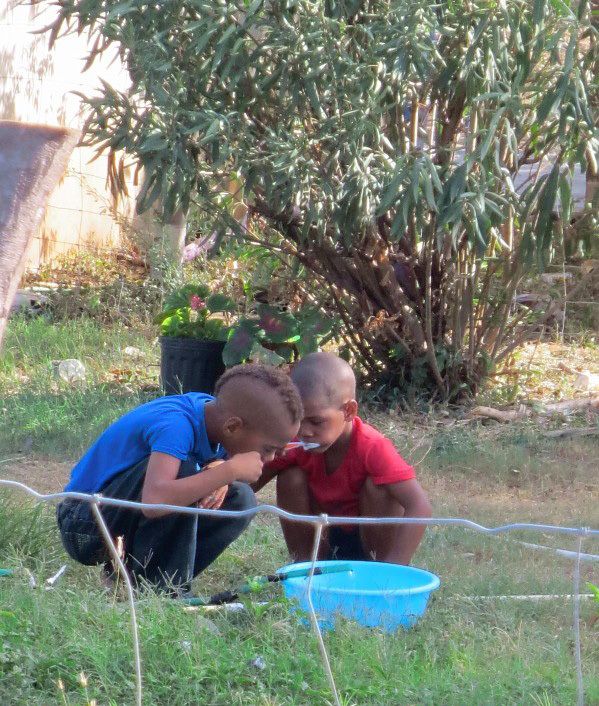 Boys brushing their teeth in a wash basin in the front yard of their home. Now that's dedication!